An extra strong snus with traditional snus flavor plus that little extra in the form of rose oil - Skruf White Portion has a pure and gentle snus flavoring and an extra strong nicotine content. White portions mean less drip - plus a slower but long lasting flavor release. 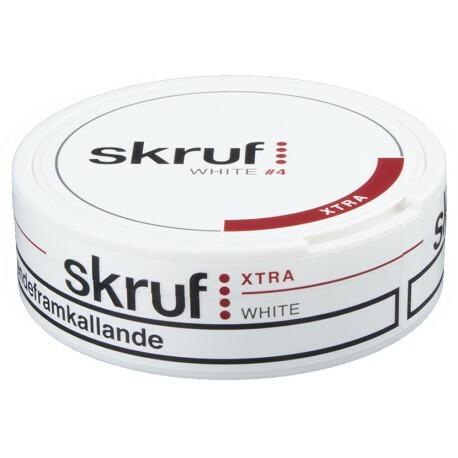 Premium-quality snus made by Skruf. An extra strong snus with traditional snus flavor plus that little extra in the form of rose oil - Skruf White Portion has a pure and gentle snus flavoring and an extra strong nicotine content. White portions mean less drip - plus a slower but long lasting flavor release. Premium-quality snus made by Skruf.